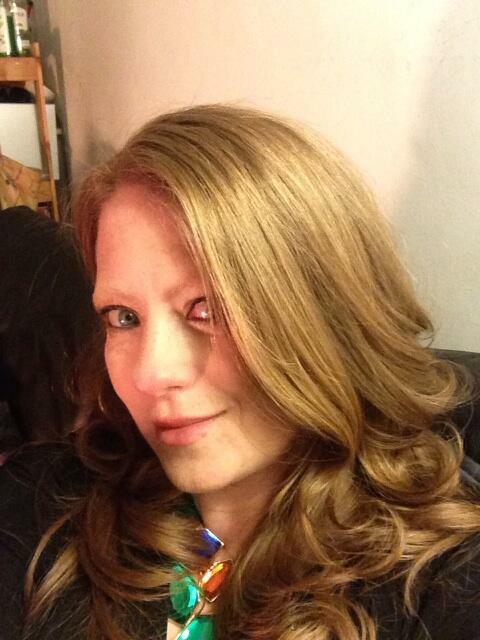 It was Friday evening, and we were faced with a dilemma - what to do with ourselves. I'd had a stressed week at work, which when combined with two hours of daily driving, means that I'd finished the week tired and drained. I'd managed to leave an hour early for the weekend, and all I wanted to do was to relax and not do anything strenuous, but he wanted to get out of the house for a bit. As a result, we decided to go out but stay local, and after a quick Luas trip, we were in Ranelagh. 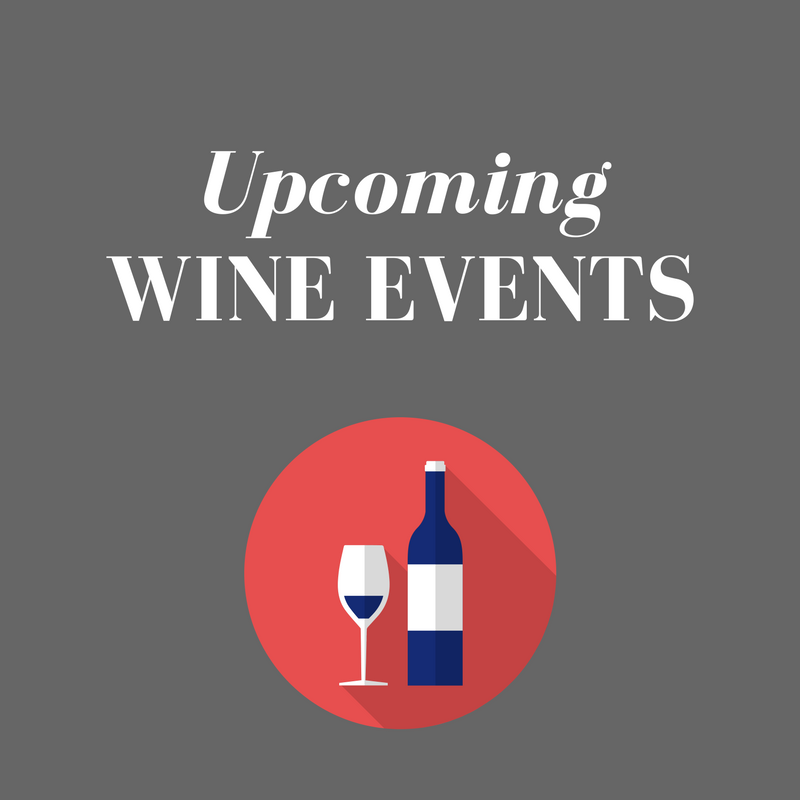 A few days earlier, I had purchased a Living Social voucher for the Gourmet Burger Comapny which had offered four beers or glasses of wine with a bowl of buffalo wings (€14) or two steaks, salads and glasses of wine (€27). As I'd been to Gourmet Burger before for burgers, I went for the steak voucher. I hadn't reckoned on using it so soon after purchasing, but it fitted nicely with our desire for an easy evening. Gourmet Burger Company is one of those fancy burger joints that seemed to appear everywhere a few years ago, but it has the distinction of trying harder than its competitors. We took a seat close to the window, and I did take some small pleasure in watching all the late commuters on their drive home. It felt good to be home and not out on the road in the dusky light. Himself asked if he could swap a glass of wine for a beer, but our waiter informed us that this was not possible. 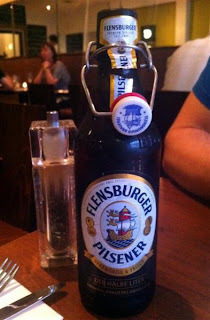 Not to mind, and a Flensburger Pilsener beer was ordered, which comes in a flip-top bottle (€6). I chose a glass of the house white wine, which was a very serviceable Sauvignon Blanc. I'd heard great things about the chicken wings at Gourmet Burger Company, so we decided to share a bowl as a starter to our steaks (€9.75). With several sauces to choose from, we went for the Suicidal sauce, which turned out to be just right. Not too hot but still with plenty of tang and bite, the wings came served with an unfortunately dull blue cheese dip and crunchy batons of carrot and celery. 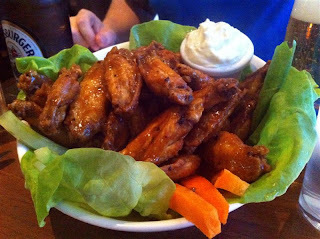 The portion size was extremely generous and one bowl of these wings would easily serve as a meal in its own right. If these was a best wings in Dublin competition, these would be serious contenders. 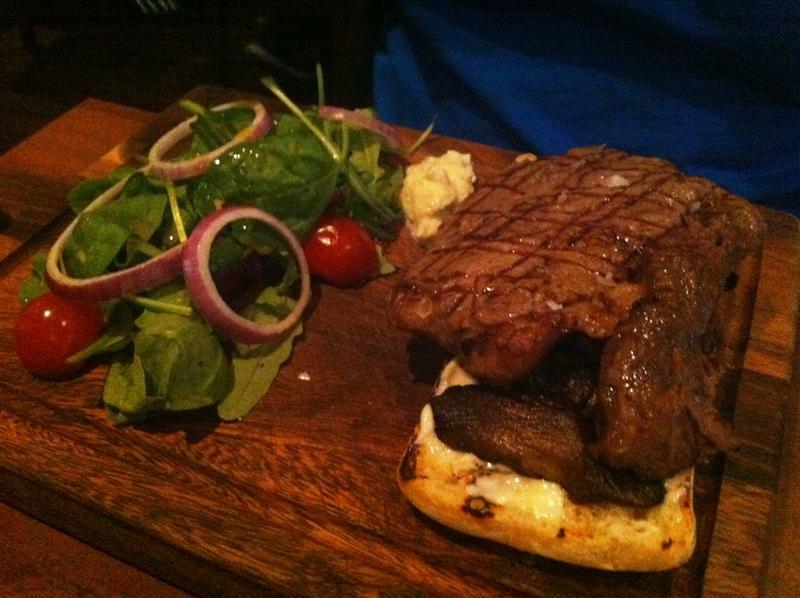 Our steaks came served on a half-ciabatta, with garlic mayonnaise, fresh horseradish and portobello mushroom. Perfectly cooked, they were juicy and well-sized. A simply dressed side salad comprised the advertised "salad" from the voucher. Being greedy gits, and not realising our own limitations, we had also ordered a side of hand cut fries (€3.40) which were excellent chips, crisp on the outside and fluffy on the inside. We took our time over dinner and service was excellent throughout, managing that fine line between friendliness and over-familiarity. The decor is simple and clean, with dark wood against lime green walls, leather seats and little amusing motifs featuring the little character from the branding. All burgers are 100% Irish organic beef, and if you're looking for something a little bit different, it's even possible to enjoy a Kobe beef burger. Our total bill came to €19.15, once our voucher had been deducted. Ranelagh is a suburb that demands sophistication, particularly in its restaurants, and Gourmet Burger Company more than meets these requirements. Personally, I'm already contemplating another trip for some more of those spicy chicken wings.